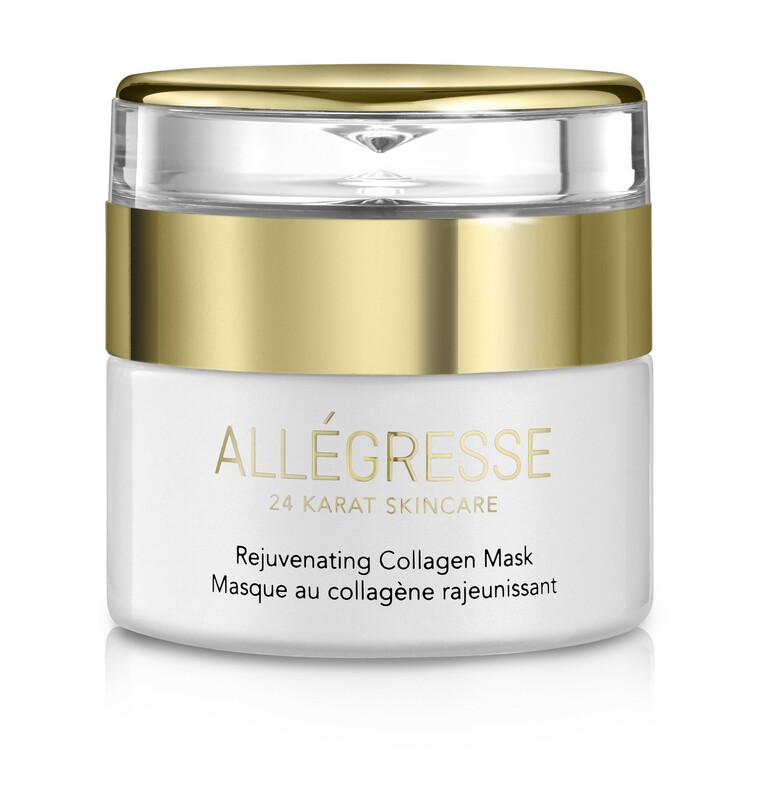 Rejuvenating Collagen Mask nourishes all facial zones while reducing visibility of lines and wrinkles. 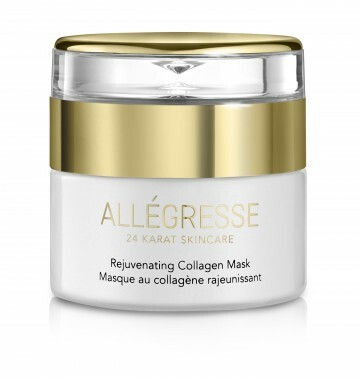 Pure gold boosts texture and rejuvenates skins appearance . Borage Seed Oil, Evening Primrose Oil and Pomegranate Extract are rich in Omega 3 and Omega 6 and help fight the look of premature aging. And natural oils and essences offer deep hydration and nourishment. Best of all, this remarkable mask is free from parabens, mineral oil, sodium lauryl sulfate, petroleum and synthetic color. Directions: Apply over dry facial skin. Wait for it to dry (8-10 minutes). Wash thoroughly. Follow with facial serum. Ingredients: Water (Aqua), Persea Gratissima (Avocado) Oil, Hydrogenated Vegetable Oil, Glyceryl Stearate, Stearic Acid, Cetyl Alcohol, Theobroma Cacao (Cocoa) Seed Butter, Kaolin, Titanium Dioxide, Zinc Oxide, Sorbitan Tristearate, Aloe Barbadensis Leaf Juice, Phenoxyethanol, Lavandula Angustifolia (Lavender) Extract, Fragrance (Parfum), Isopropyl Myristate, Sage (Salvia Officinalis) Leaf Extract, Borago Officinalis (Borage) Seed Oil, Oenothera Biennis (Evening Primrose) Oil, Panthenol, Punica Granatum (Pomegranate) Extract, Triethylene Glycol,Anthemis Nobilis (Chamomile) Flower Extract, Tocopheryl Acetate, Hydrolyzed Collagen (Marine), Gold (Ci 77480).